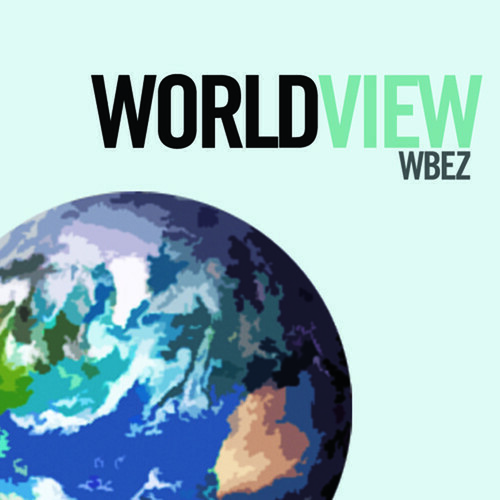 I was on Chicago Public Radio’s “Worldview” program this past Friday to discuss my research on veterans. American veteran Don Blackburn joined me on air to talk about his own experiences returning to Vietnam and to read some of his poetry. You can listen to and download the audio from the show here. I’ll be interviewed on Chicago Public Radio’s Worldview program on Friday about my research on American veterans in Vietnam. You can listen live to the program at noon CST on 91.5 FM if you’re in Chicago or on their website: wbez.org. In keeping with the Vietnam War theme, Worldview did an interesting segment yesterday with the authors of Eternal Harvest: The Legacy of American bombs in Laos. Karen Coates and Jerry Redfern described how bombs dropped during the United States’ covert air campaign in Laos during the war are still killing and maiming people in today. You can listen to their interview here. 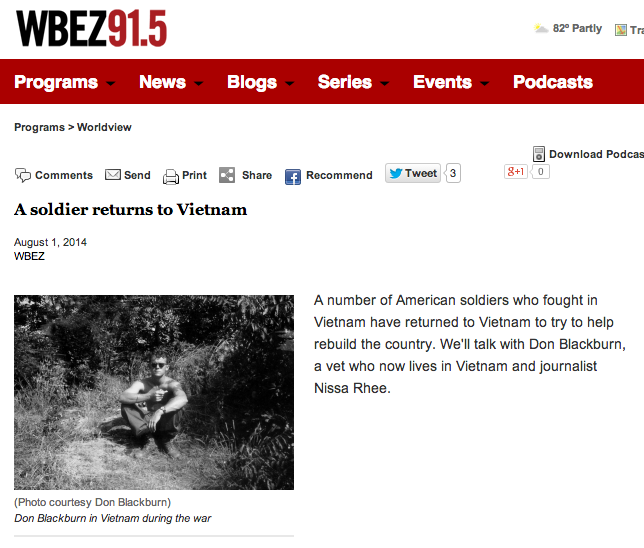 Wisconsin Public Radio’s Central Time program interviewed me on Friday about my research on Vietnam veterans. The show was recorded live and could be heard across Wisconsin and parts of Minnesota. In case you missed it, you can hear the interview and read a summary of the segment here. Be sure to check out the great call-in listeners near the end of the segment. 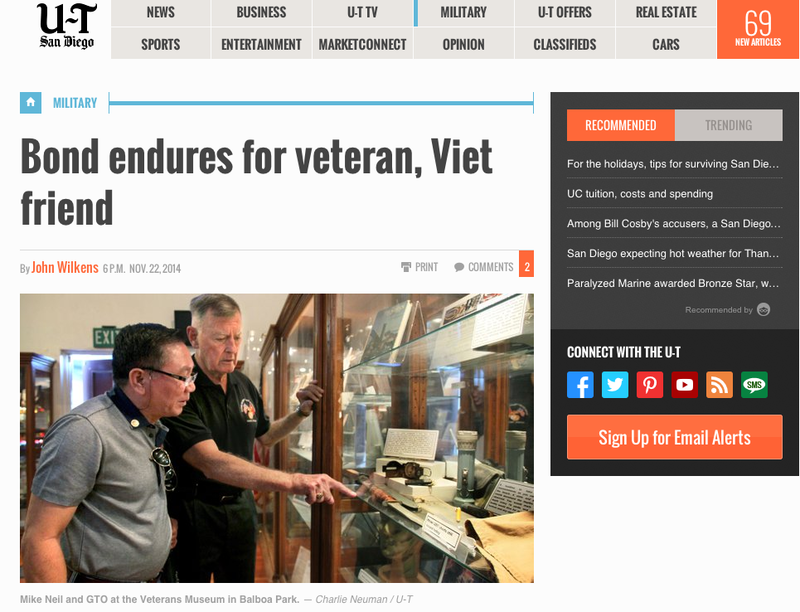 Several Vietnam War vets called in as well as an Iraq War vet who hopes to return to Iraq someday. Hearing their enthusiasm for my story makes all the hard work of book writing worthwhile.